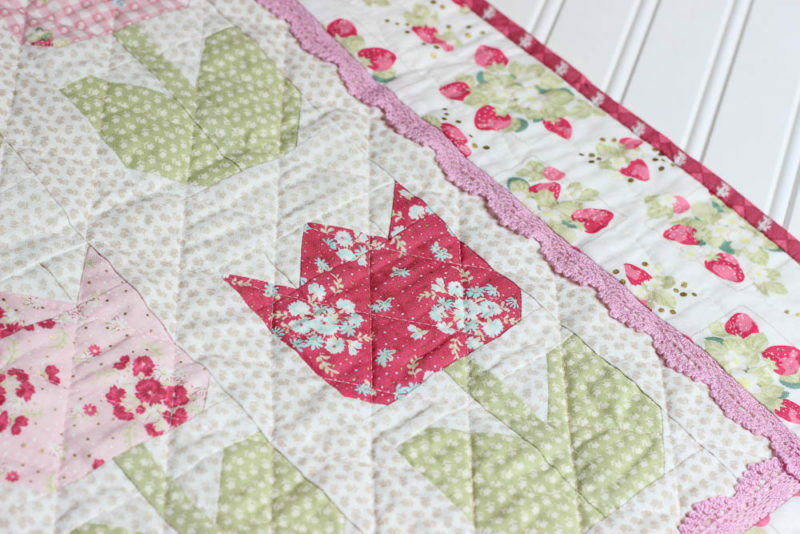 I was going through my computer and found these gorgeous project photos of my Tiny Tulips quilt pattern made by my friend, Kristin Esser. Kristin made this quilt for my Spring 2017 quilt market booth back in May. With the craziness of market, I never had the chance to take the time to share this one – so i’m doing it now! Kristin is so talented and is the co-author of the book Sew Illustrated. You can see more of her beautiful work for a High Tea (my first fabric collection) blog tour she did last year for me, at this post (scroll down to the project made on 8/23/16). 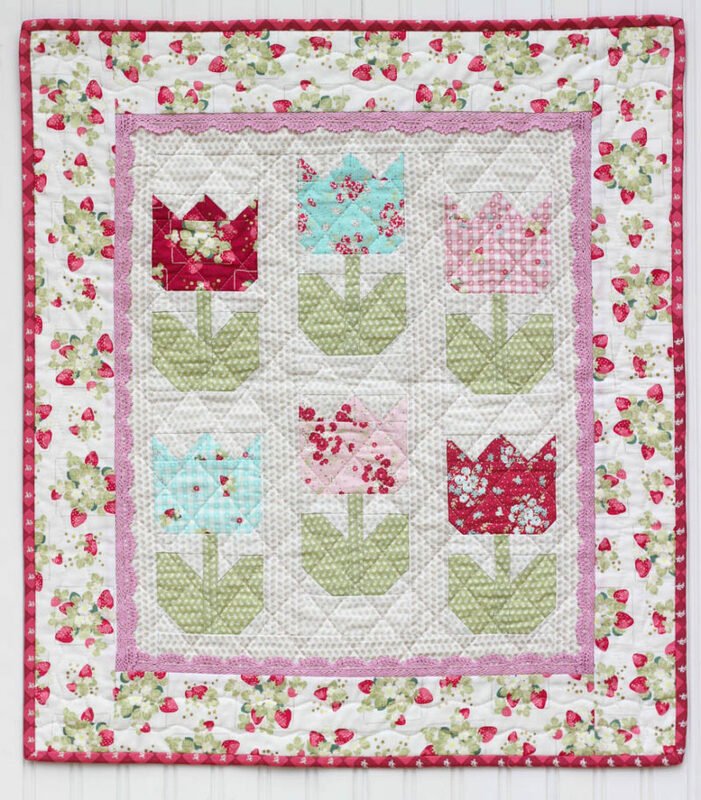 You can find this Tiny Tulips pattern for instant download HERE. Kristin had the wonderful idea of embellishing the inner border of this quilt using La Conner lace, which can be found here. 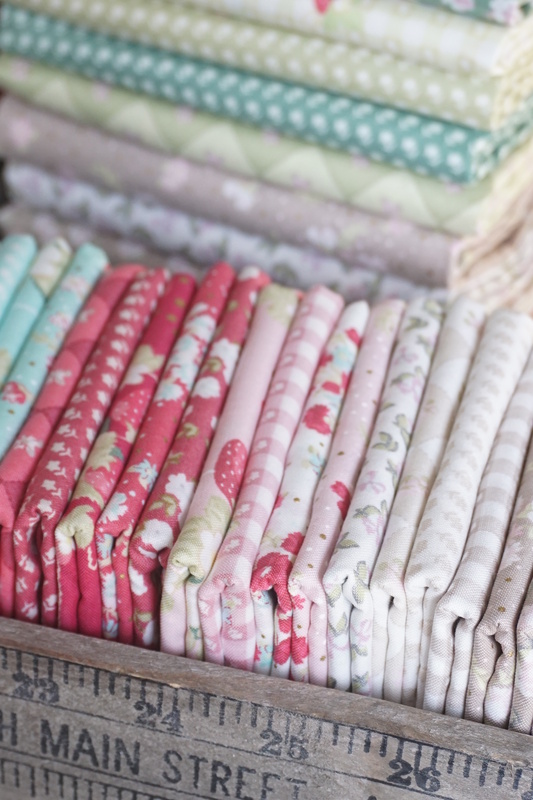 The fabrics used in this quilt are from my 2nd collection for Lecien Fabrics called La Conner. La Conner is a small town in Washington, and in the Spring time they are known for their fields of flowers and tulips! 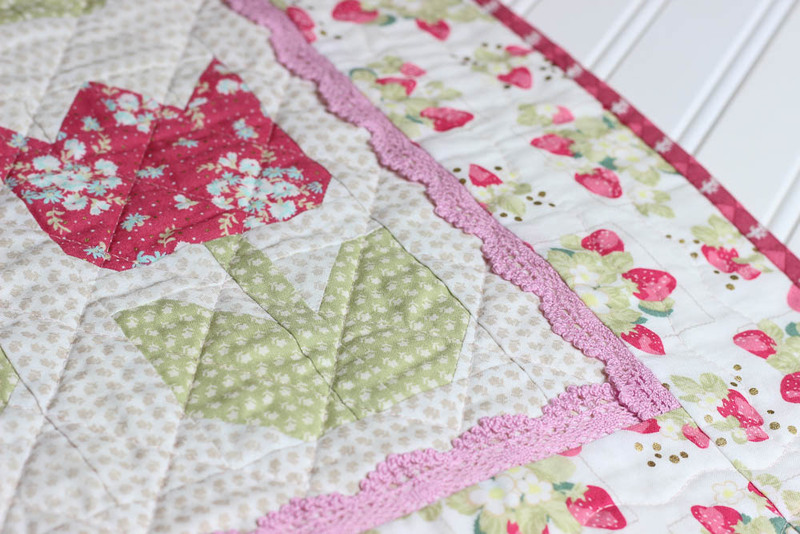 So this Tiny Tulips quilt was the perfect project. HELLO, prettiest use of this collection I’ve seen! Thanks for sharing! A “fall themed” mini quilt in your fabric line fabrics ??????? What am I missing? We need a full sized pattern for this you know! 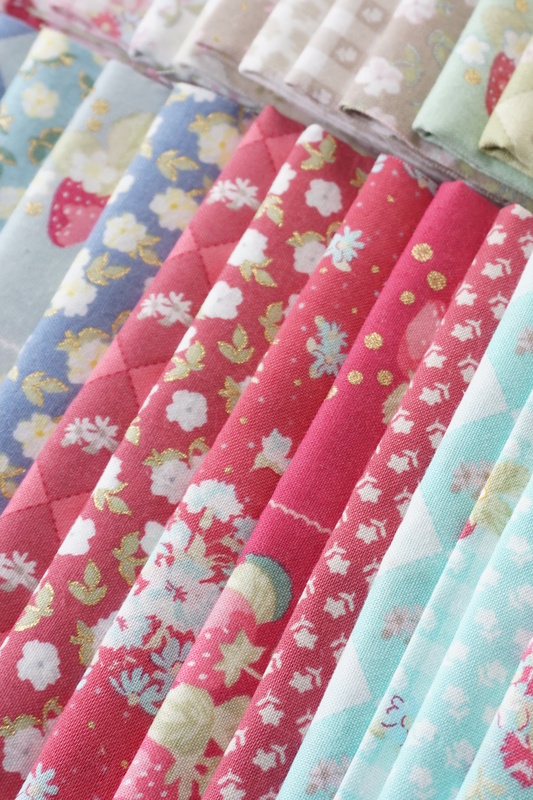 I am so in love with this fabric! Waiting for your book to come,release date it says Oct 1. Everything made from this fabric just dings to me. I have to have it all!